Who is the Pixelbook for? We’ve heard that question quite a bit since the very first leak back in September before Google’s big hardware event. With top-tier specs, Chrome OS, a premium build and price tag, the early questions surrounding the Pixelbook are less about what it does or what it is and more about who this thing is targeted at. And, to be honest, when the price first leaked and we began chatting about the relatively high price (for a Chromebook), we had the same questions as well. Who did Google make this device for? Well, as it turns out, the answer seems to be for a lot of people, just not all the ones you think. 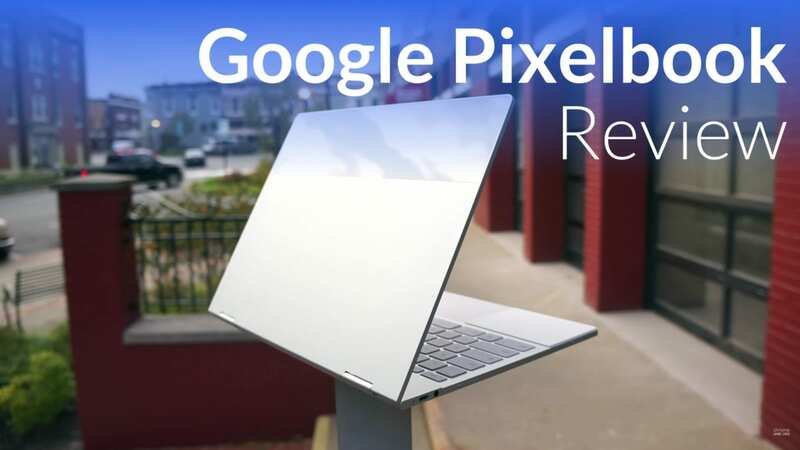 Pixelbook is the answer to the lament from the Chromebook faithful and enthusiasts asking for a high-end machine and a proper follow up to the 2015 Chromebook Pixel. On the other hand, it’s the halo device Chrome OS as a platform needs to bring Android apps fully into the fold – out of Beta status – and push other hardware makers to up their game. 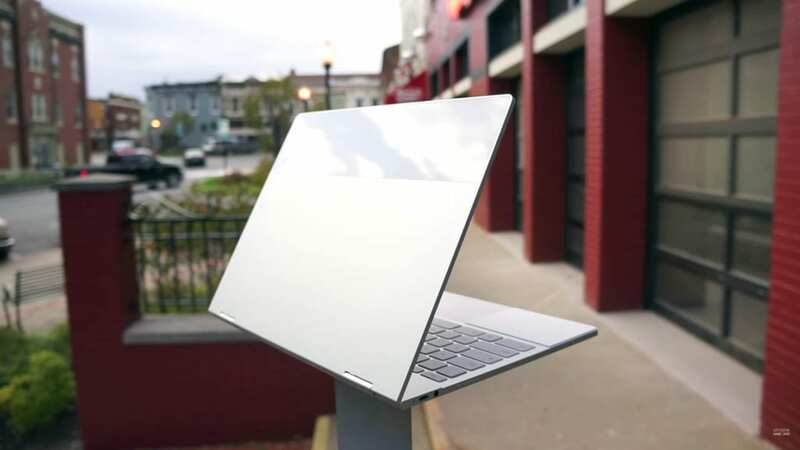 From another angle, it is also the first Chromebook many consumers will actually pay any attention to and interact with. Between its wide availability across many retailers and the sheer marketing budget Google likely has in store for this device, many people who have never heard of or considered a Chromebook will find their first Chromebook and Chrome OS experience in the Google Pixelbook. Sure, it may just be seeing one in a coffee shop after being intrigued by a commercial or touching one in a local Best Buy or B&H, but the experience could be enough to actually cause many of those who’ve never given Chromebooks a passing thought to actually consider what the platform could offer. The truth is, the Pixelbook is many things to many people, and if you are reading (or watching) this review, you may just be one of those people. And if you are one of those people, you need to know that the Pixelbook is – unsurprisingly – quite good at being all these things and more. So, let’s look at all these ways the Pixelbook finds its place and see, after everything, if one of those places is in your shopping cart at the end of the day. Let’s get this out of the way right off the bat: the Pixelbook is expensive. It is. There’s no escaping that fact and no real need to explain it away. The hardware is absolutely top notch, the specs are everything you’d expect in a $1000+ device, and the iconic design is appealing and status-bearing. This thing is beautiful and an absolute joy to use. But when we are talking dollars coming out of your bank account, the real question becomes value. Value is the worth and usefulness of a device and what price you are willing to put on those functions. For some, the Pixelbook is of great value. For others, it isn’t. We’ll get into all that, I promise. First, let’s talk about what those precious dollars get you in terms of raw hardware and specs. So, yeah, that’s a pretty sweet spec sheet. Chromebook user or not, there’s a little something there for everyone. Fast processors, tons of RAM, massive storage options, great build…the list is top-tier in every way. This device is deceptively light, beautiful, and invites the user to engage it at every turn. I found myself simply wanting to do more things on the Pixelbook than other Chromebooks I’ve owned. The custom silicone palm rests that perfectly mirror the glass shade on the lid and the rubber feet on the bottom are just more nods to how well this device is put together. At just 10mm thick, the Pixelbook remains firm as you pick it up to move. Thin, light devices are great until they bend and flex. The Pixelbook is solid as a rock. The screen (which could be the exact panel that is in the Samsung Pro/Plus) is fantastic, colorful, vibrant and stands up to any lighting situation: even outdoors. The keyboard’s minimal travel is paired with fantastic mechanical build, making the typing experience solid and enjoyable. Backlighting is a fantastic add-on in low-light conditions, too. With the etched glass trackpad and its perfect click, I find using peripheral keyboards and trackpads at my desk a bit of a step down. This input setup is second to none and I just want to use it all the time. Performance is as you’d expect: lightning. You wait for nothing. Nothing lags, nothing studders, nothing is slow. Multi-monitor setups are met with a shrug as the Pixelbook never really feels like it breaks a sweat at anything. With games like Modern Combat 5 cranked up to the highest settings, I saw consistent, smooth frame rates around 60 FPS with no lag in multiplayer. We edited photos and videos (Photoshop Mix and Kinemaster), and left tons of tabs open all at the same time. Nothing slowed the Pixelbook down. It is, without doubt, the fastest laptop I’ve ever used. And we are testing the Core i5 model with 256GB of storage and 8GB of RAM. I can’t imagine how quick the i7 with the NVMe storage would move, but as we’ve already discussed, the raw power of the i5 model makes me wonder if you’d even be able to feel a difference. Additionally, all this happens while keeping the battery life between 8 and 10 hours and without the need for a fan. At $999 for the i5/8GB/128GB, $1199 to move up to 256GB of storage, and $1649 for the i7/16GB/512GB NVMe, I’d say the $999 model is plenty for 95% of users. If you are a Chromebook user looking for the best possible Chrome OS experience, this device is for you. If you are a Chromebook user who wants a device to be proud to carry into the coffee shop, classroom or meeting, this device is for you. If you are a Chromebook user who needs a bit more power to run certain Android apps or you like running Linux (via dual-boot or Crouton), this device is for you. For already-initiated Chromies, this device is a no-brainer if you simply want the best-of-the-best without sacrifice. But, let’s be honest: of the broad sweep of consumers in the market who are looking to buy a laptop, invested Chromebook users aren’t a huge portion. We are the sidebar. So let’s talk about how the Pixelbook will affect some of the other portions of the market. While there are more students in grade school using a Chromebook than any other computing device, those students won’t be on their own and making purchasing decisions for some time. The time is coming when people who grew up with Chromebooks will continue buying Chromebooks, but we’re not quite there yet. For now, Google needs a way to showcase Chrome OS to the masses who may have never even heard of a Chromebook. The consumers who don’t really know the difference between a Macbook, iPad Pro, Dell, Surface or Android tablet. If you came here to see all the news on the Pixelbook and knew its name prior to arriving to Chrome Unboxed, this section isn’t for you, but you may gain some perspective you’d not previously considered. If you’ve never worked in retail, it can be tempting to think most people know the basics in tech. Macbook vs. Surface, Chrome OS vs. Windows, etc. You’d be forgiven for thinking most people are informed and care that much. When we start looking at the consumer base as a whole (not people who read tech blogs), people are way less concerned with the OS and are way more swayed by branding, customer loyalty, marketing, and good ol’ personal recommendation. Many times, buying decisions are made at the store when hands go on devices and a potential customer likes the feel, look and/or performance of a device. Add to that a commercial, a strong brand, and maybe a recommendation from a friend or colleague and you have the basic equation for a sale. This place is where Google is looking to insert the Pixelbook. Right alongside Macbooks, Surfaces, Windows laptops, and iPad Pros, the Pixelbook will be on store shelves, on the television, and all over the internet. In 6-9 months, people will know the name and know that a strong brand (Google) is behind it. They will know it has apps. They will know it has a touchscreen and can act as a tablet. They will know it looks great and feels fantastic if they wander by it in a Best Buy or B&H. Surrounded by other great-looking, great-performing hardware, the price won’t be that much of a consideration. What will be a consideration is the things the Pixelbook can do and do well. Full desktop browsing? All my favorite apps? Full file management? Great input methods? Real multi-window multitasking? Pen input? Google Assistant? All of the sudden, when you stop talking about what a Chromebook can’t do, you can actually see all it can do. In a less-informed body of consumers, this is Google’s bet. Left to their own devices, consumers can see all that the Pixelbook does and make a purchasing decision based on those facts. Forget all the conversation around “it’s just a browser” and “there are all sorts of cheap Chromebooks.” From the observation of a non-tech person, the Pixelbook can do quite a bit, and that’s really the point of this device. From that point of view, the second group of people this device is for is the uninitiated. It is for the tech agnostic. Pixelbook is the face of all that is possible with Chrome OS both now and in the future. It is perhaps the only Chromebook experience many people will have, and for that group of people, they are getting to see the best possible device on offer. There’s still another function the Pixelbook will serve, and that is that of the halo device. A quick tl;dr of halo devices. Consider the Samsung Galaxy S line. They are the top-tier, highest-priced, highest-spec’d devices Samsung offers. They provide a vision of what Samsung is capable of each year, but they are not the only devices on offer. There are a multitude of less-expensive, less-capable, less-spec’d devices from Samsung that look kinda like the Galaxy S line and that is very much on purpose. By having a halo device to market and get in front of customers, you showcase all that is capable and market the snot out of it. By default, some of the consumer base will buy that exact model. Others who don’t want to spend that much money will direct their desire for the marketed device towards one of the lesser-marketed, lesser-spec’d devices and still buy a Samsung device: just not the halo device. Same thing goes for Chromebooks. The Pixelbook is the halo device for Chrome OS. It is the vision of all that is possible from the OS if manufacturers decide to go all-in. The original Chromebook Pixels had the same effect to some degree. Those two devices are why we have the Samsung Chromebook Pro and the ASUS Flip C302. They moved the market forward. The difference this time around is the high visibility that the Pixelbook will have. You will see it everywhere, and that matters because the Pixelbook will be the device to shine a spotlight on all the great things Chromebooks can do across the board. Most notably, you have Android apps on Chromebooks getting the most public recognition they’ve ever seen. Front and center in the setup process is the fact that Google Play is available and working out of Beta status. Sure, the app market is hit-or-miss right now when it comes to big screens. Google is trying to push that forward and we’re seeing companies like Adobe and Microsoft make very compelling desktop experiences possible with their Android offerings. Hopefully more will follow. Keep in mind it will take months for Google to really get marketing in a place where app developers will be forced to do something about their apps for the Pixelbook’s bigger screen. Then, we have to talk about Google Assistant. It has a dedicated key on the keyboard for the Pixelbook. Google Assistant is in the center of everything #madebyGoogle and they want it to be at the center of this Chromebook experience as well. Though this is exclusive to Pixelbook for now, we have already seen signs that Assistant will be coming to all Chromebooks in the future via keyboard shortcut. The Pixelbook will simply be the torch-bearer for this effort and consumers will inherently know that Chromebooks are another home for Google Assistant, and that is the power of the halo device. Though other Chromebook devices have offered pen support, none have had pens quite like the Pixelbook. With its angle awareness and button on the side, the Pixel Pen is a bit of a different beast. The main trick up its sleeve? The ability to hold the button, circle anything on the screen, and get the Google Assistant’s input immediately. It is hit or miss for now, but eventually this function could really be a huge deal. With all the input that will soon be coming from Google Lens, this feature will simply become better and better as time goes on. Additionally, the pen gives way to great note taking experiences with apps like Squid and amazing artistic creations with apps like Infinite Painter, Adobe Illustrator Sketch, and more. While I’d like the pen in a more stowable fashion like Samsung offers, I appreciate all it can do and how well it puts virtual ink on virtual paper. These advances, again, will serve to push device manufacturers forward with pen input on Chrome OS, and that is the purpose of the halo device. Lastly, let’s talk aesthetics. The Pixelbook is drop-dead gorgeous and unique. It won’t be mistaken for a PC or Macbook anytime soon, and that is a good thing. It is a device people will be proud to carry. It is, like other halo devices, the benchmark for stunning design that will drive the segment forward. The attention to detail is prolific as you look at the device from every angle. Forget the notion of a cheap Chromebook. The Pixelbook isn’t about any of that. Instead, the user is met with thoughtful flashes of design like the silicone palm rests that are identical in color and size to the feet on the bottom and the glass shade on the lid. Additionally, those same pads act as feet for the device when it is in presentation mode. That identifying glass shade on the lid? It is where all the antennae are housed so they aren’t weakened by the aluminum. You’ll also notice the bezel around the screen being symmetrical from side to side. When in tablet mode, this is the first Chromebook that actually feels a bit like a tablet. The squared-off sided meet with a magnetic click and feel flush, solid, and not very much like a convertible. Sure it is large and heavy for a tablet, but I found myself using this setup more on the Pixelbook than any other convertible device yet, and that is saying something. As the halo device, it is showing other manufacturers how to thoughtfully make a foldable design that feels just as good in both laptop and tablet mode. Sure, this has been a bit of a different take on a review. But, the Pixelbook is a bit of a different device, too, isn’t it? Regardless of all that has been and will be said of the Pixelbook, the end of any review has to answer the question: is this device worth buying? So, as a quick answer, I’d say absolutely yes. Value is a tricky thing, though, so there are some people that the Pixelbook won’t be for. Video editors, desktop gamers, and heavy Photoshop/Illustrator users probably need to take a hard pass for now. Sure, all these things could be done on the Pixelbook, but nowhere near as well as a Macbook or Windows device could. Again, I say for now because we have no idea what the proper motivation will do for Android app development in these spaces over the next year or so. For now, though, value for the dollar isn’t strong for these folks. For the person who spends a great deal of time online, in email, consuming content, downloading Netflix, Google Play Music or Spotify, this device offers a ton of value. It can be extremely productive for a massive swath of people, especially those considering something like an iPad as their primary device. I’ve made a case for this in another article, so I’ll direct you there for that discussion. Some pretty great photo editing, video editing, SVG editing, IDE (for development), games, productivity, drawing, note-taking, chatting, and email apps are all here for anyone to use. The Pixelbook, in this way, can feel as comfortable as a tablet/consumption device as well as a productivity machine. I’ve used it as a web developer daily as well as running Chrome Unboxed and haven’t wanted for anything else. I think many others could do the same. Sure, they could operate from a Mac or PC or iPad, too, but none of those combine the unique ability of the Pixelbook to do desktop tasks and then easily run your favorite content consumption apps with such ease. For all of these types of people, the Pixelbook is a great device. As a first introduction to Chromebooks, this is the best face Google could offer. As a halo device, the Pixelbook will push the market forward in meaningful and positive ways. Who is it for, then? Well, as it turns out, a lot of people in a lot of ways. And for that, I commend Google. The months that follow will be very interesting, indeed, but I think Google has created something of real significance with the Pixelbook that we’ll be talking about for a long time, and I’m perfectly fine with that.